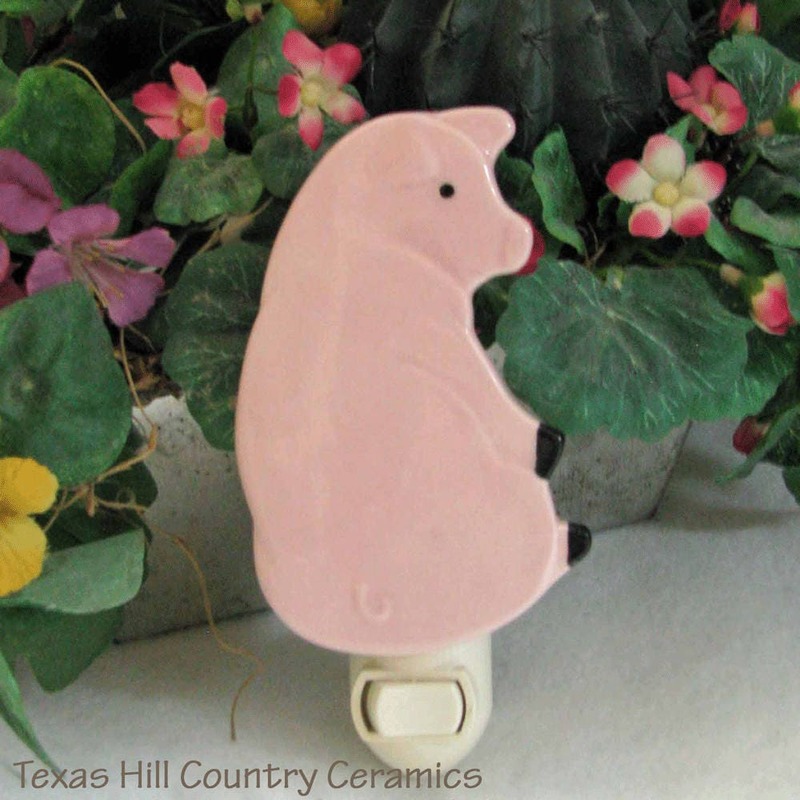 This ceramic Pink Pig night light plugs into a wall socket. The Pink piggy is cast from a ceramic mold with clay slip, the detail is hand painted by me. Great accent for any country or farm style area. • 2 1/2 inches wide at the widest point. The nightlight has a white on/off rocker switch and a low watt bulb is included, the night light fixture is UL approved.